This is Jo Jung Rae�s first book since the successful release of Great Jungle (정글만리) three years ago. During the 3 year hiatus, Jo was busy with the birth of his grandson. As his grandson grew older, Jo was exposed to the many aspects of South Korea�s education system � everything from preschool to private schools. Over the course of 3 years, Jo researched and interviewed numerous institutions and professionals in the education field. The author uses the gathered information as the basis of his novel�s plot. 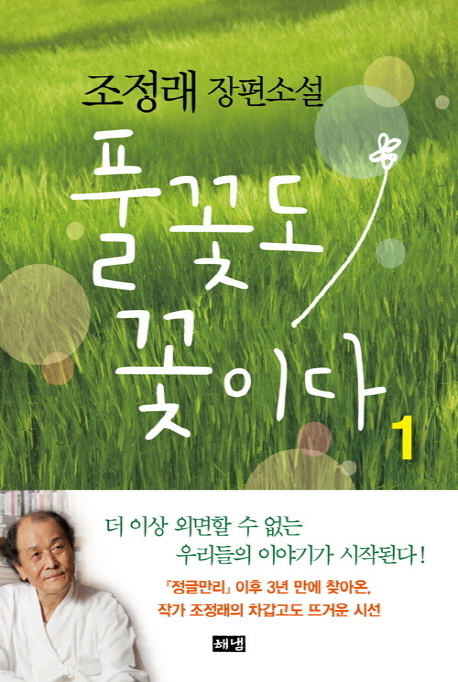 Kang Gyomin is a high school teacher who is not content with South Korea�s �discriminatory educational system.� He pays the principal�s office a visit and expresses his disapproval of the current nationwide tactics such as posting the results of students� mock tests in the school hallways for everyone to see. He claims that such acts stir discomfort and tension among the students. Kang states that students will never be satisfied with their grades and will constantly berate themselves by comparing themselves to classmates if the current educational system is not changes. He argues that building character is much more important than striving for a perfect GPA.